Enjoy a new life without continuously shaving, waxing, tweezing, razor burns or ingrown hairs! As easy as 1-2-3 and you're ready for a hair free endless summer. For women and men. 15 years experience. In-House Financing for your Laser Hair Removal Cost! No more razor bumps, rashes or stubble! Permanent results for light, medium or dark skin. 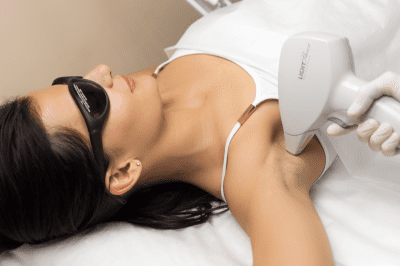 How Laser Hair Removal can change YOUR life! 5. Smooth soft skin, all the time, really! Book your appointment right now for a free test spot!!! How is hair removal different for darker skin? Unlike fair skin, darker skin contains skin melanin (color), which requires highprecision devices that can distinguish between the hair and the skin. There are lingering misconceptions about laser hair removal on darker skin tones. Because earlier technology had difficulty distinguishing between hair follicle and surrounding skin, machines tended to heat up both areas significantly. Results were often uneven, unsuccessful, damaging or needing in more treatments and more money spent with the inappropriate laser. Many people with darker skin, particularly those with thick hair, struggle with Ingrown Hairs and Razor Bumps. However, if treated improperly (or left untreated), hyperpigmentation (dark spots), pain and keloid scarring can result. Yes, Laser hair removal treatments are safe for skin of color and effective because they destroy the hair follicle, thereby reducing inflammation. Laser hair removal treatments are not just for getting rid of unwanted hair. They can be used to treat conditions related to inflammation of the hair follicle such as ingrown hair and razor bumps. 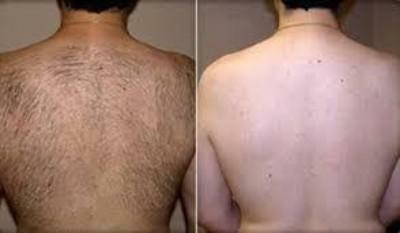 THE FUSION LASER TEAM WILL GET RID OF YOUR HAIR QUICKLY AND EFFECTIVELY! !